The current approach to PMBCL diagnosis is not optimal due to the possibility of diagnostic inaccuracy. 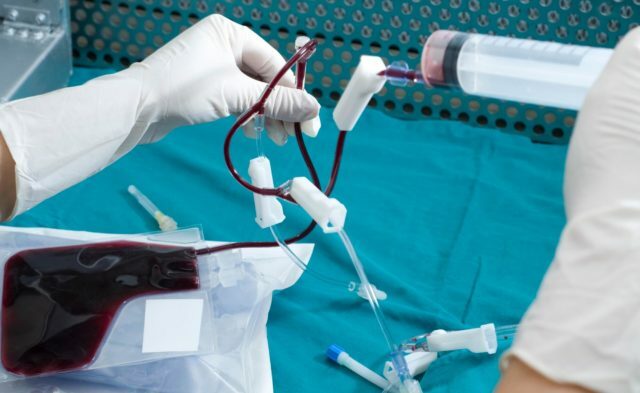 It may be possible to more easily diagnosis primary mediastinal large B-cell lymphoma (PMBCL) using routinely available tissue specimens, according to a study published in Blood. In this study, researchers found that a 58-gene expression-based assay could help with the molecular distinction of PMBCL and diffuse large B-cell lymphoma (DLBCL) using archival tissue biopsies. PMBCL is currently diagnosed based on a consensus of histopathology, clinical variables, and presentation. However, this approach is less than optimal due to the possibility of diagnostic inaccuracy. PMBCL can be distinguished from subtypes of DLBCL based on gene expression signatures, but the need for fresh-frozen biopsy material has been a significant barrier to the routine usage of gene expression-based assays in the clinic. In this study, researchers found that a 58-gene expression-based assay could help with the molecular distinction of PMBCL and diffuse large B-cell lymphoma (DLBCL) using archival tissue biopsies. The researchers developed a robust and accurate molecular classification assay (Lymph3Cx) to distinguish PMBCL from other DLBCL subtypes based on gene expression measurements in formalin-fixed, paraffin-embedded tissue. The researchers used a probabilistic model comprising 58 gene features and trained on 68 cases of PMBCL and DLBCL to account for classification errors. The performance of the model was tested in an independent validation cohort of 158 cases. The assay showed high agreement between the Lymph3Cx molecular classifications and the clinicopathological diagnoses provided by an expert panel of 3 hematopathologists. In addition, the researchers obtained excellent concordance (Spearman coefficient = .996) of subtype assignments given by the Lymph3Cx assay and an independent laboratory, demonstrating the accuracy of the assay. Further testing and validation of the Lymph3Cx assay’s clinical utility are warranted. However, the researchers theorized that this assay could help improve care and outcomes alongside the emergence of therapies such as dose-adjusted EPOCH-R or PD1-inhibition with nivolumab or pembrolizumab.